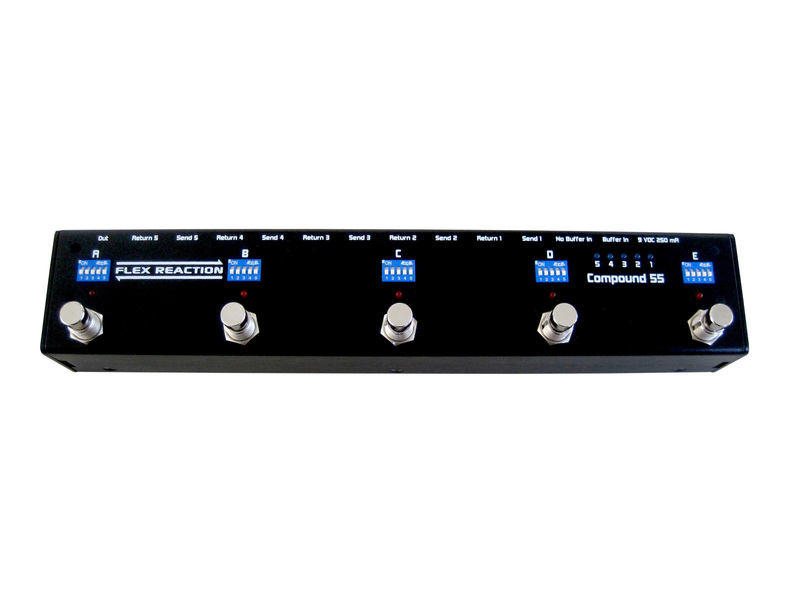 This compound 55 has 5 loops & 5 Programmable Channels. You just plug your chosen effect pedals into the Send and Return socket Loops. Signal flows from input to loop1, loop2, loop3, loop4, loop5, and output. You can turn on or off in numbered switches in each of five DIP Bank switches. Just determine which effect you want to use simultaneously in each Channel.